My son Wade wants you to know something. He wants you to know he is BIG. He wants you to know he DOES things. 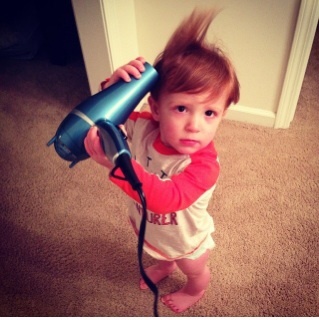 And that he does some of the same things mommy and daddy do. Has your child declared the same statement? A child’s heart clamors I’m small – but I matter – and I can do things like you! Children want to be big. 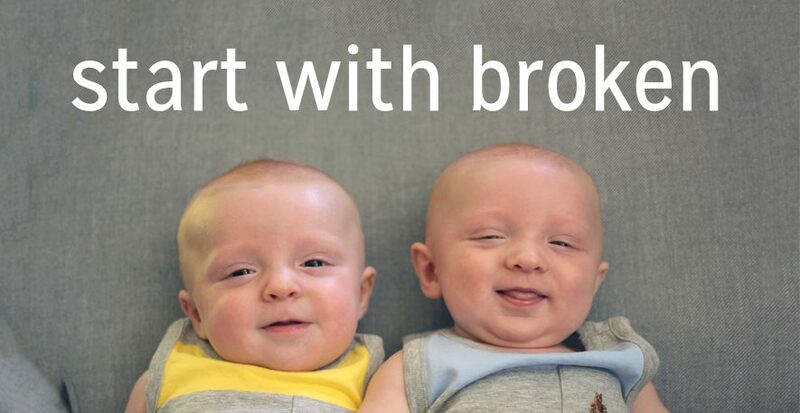 They want to grow up and do big things. They want to do what Mommy, Daddy, Grandma, Grandpa do. Your child may complete a simple enough action in your eyes, but he or she thinks “I just did what Mommy and Daddy do!” Pride is most evident on my son’s face after completion of a task. 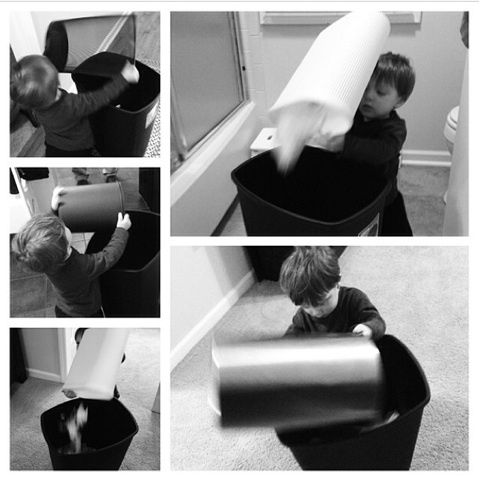 He wipes a counter, sweeps up food or empties the trashcans. Once I even saw his toddler chest puff with pride. But what sets a chore or task apart from other “play”? Some parents believe chores to be cruel, or the fruit of a “my-child-shall-wait-on-me” mentality, especially at a young age. 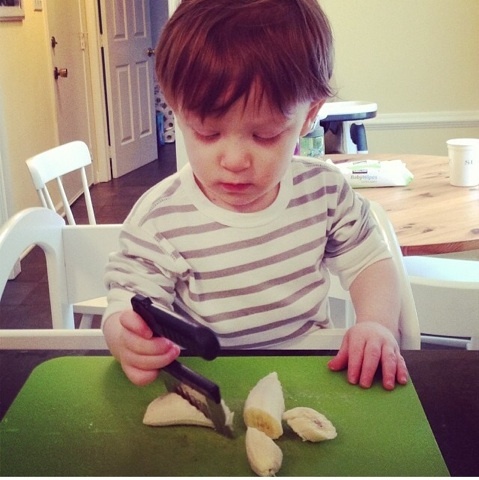 The truth is – chores and tasks give your child a sense of value and competency. They communicate that he or she is needed in the family unit and that what he or she does matters. At the heart of even a young child is this desire to matter. 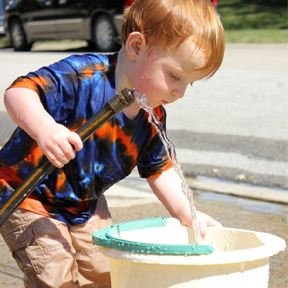 Expecting and offering your child ways to engage through task is a way to grow self-worth and competency. And that gift lasts a lifetime! Children want their family to be proud of them so they can feel proud of themselves. 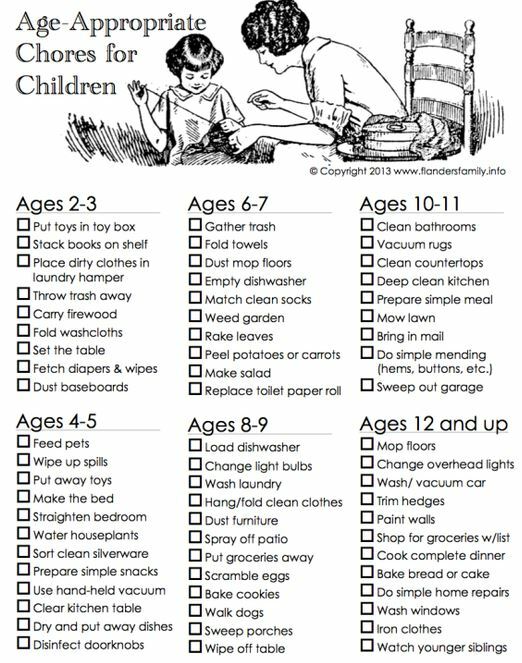 Giving chores and tasks, even to the littlest children, is an excellent way to cultivate confidence. 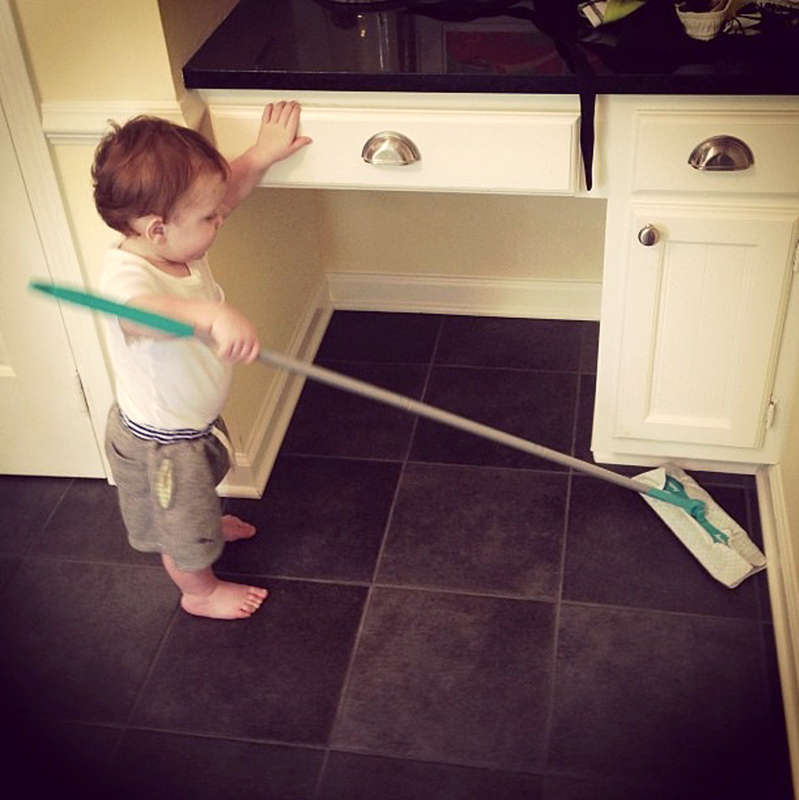 Not giving your child tasks or chores robs them of a crucial opportunity for character development. Most parents think children need tasks or chores eventually, like when they’re in high school. But what about an 18 month old or a 3 year old? What can they do? Well, as I found out, much more than you think! Give simple tasks, even one step in a series of actions works great. The simpler the better. Keep your expectations few and flexible. Your child has a limited attention span and skill set. The point is involvement, not perfection. Don’t get frustrated when something isn’t done as you like. Learning new skills and gaining confidence is more important than creating perfectly folded stacks of laundry. 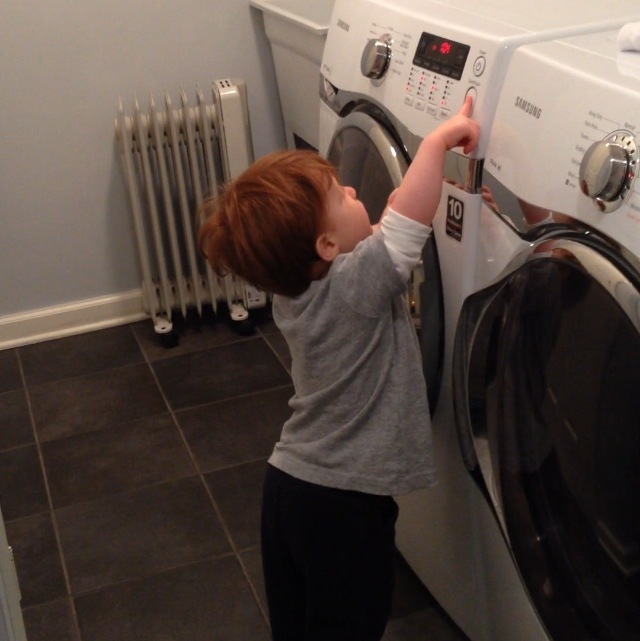 Tasks for little children can be life skills, like washing clothes. Here are some simple ideas from our home that work for a variety of young ages. And most importantly, be creative! 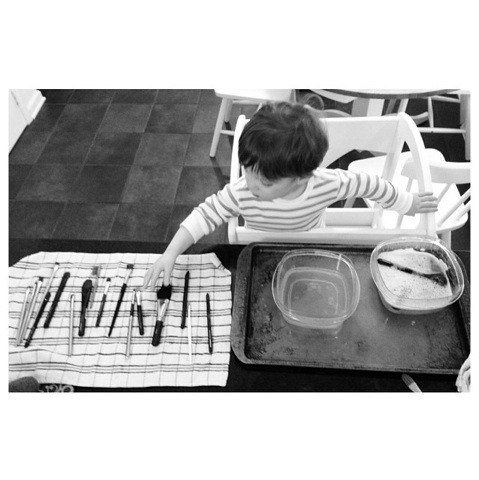 Last week my son “played” by helping wash and rinse my makeup brushes. Many tasks can be made fun! 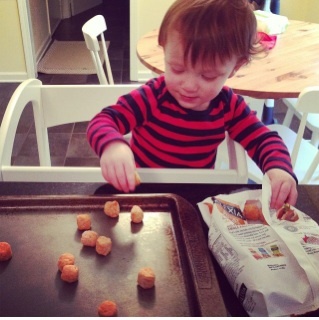 And most tasks can be broken into smaller actions a young child can complete independently. There are some great chore resources and charts online as well. Here is one Montessori list I reference for ideas. Please share one of your favorite tasks or stories!